This kitchen is the hottest hangout on the block. 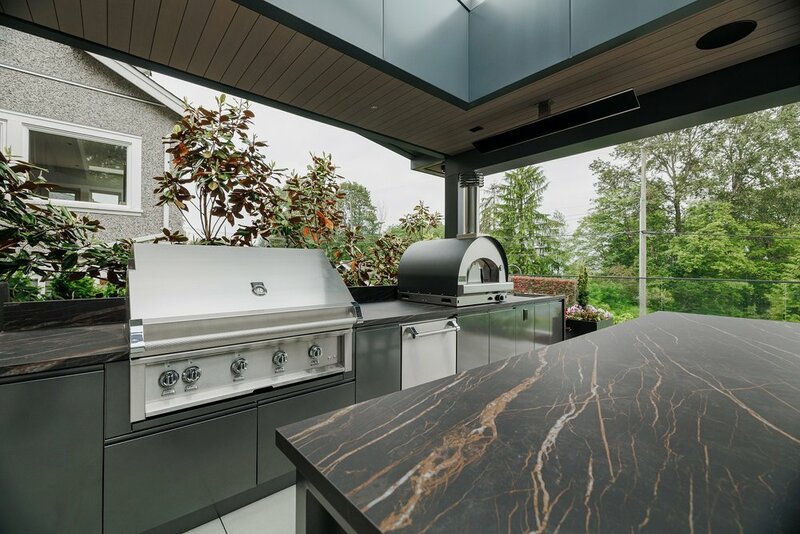 We were asked to design a workspace that prioritized function for our client at the same time as creating a space the owners would be excited to show off a little to neighbours and friends. Consideration was given to laying out the elements so that two chefs could work side-by-side without stepping on one another’s toes. To achieve this, we positioned a sink between the prep space and the cooking space to be accessible by both. 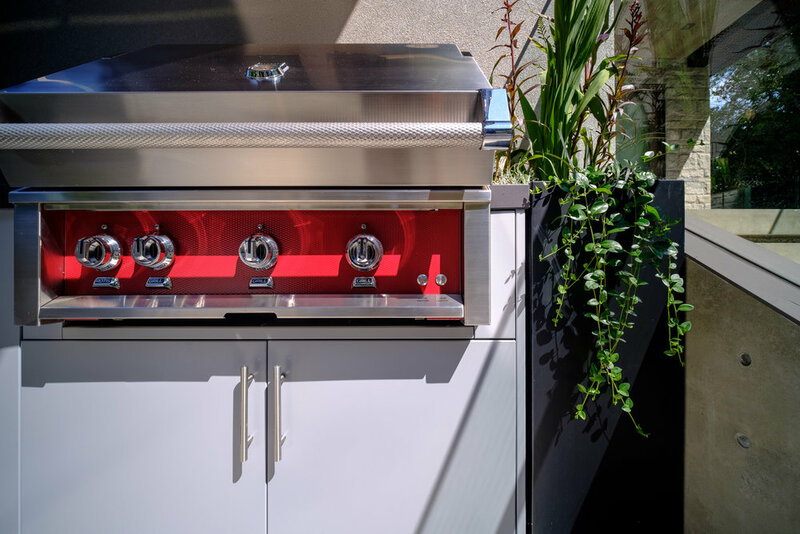 We included additional storage and a convenient recycling unit hidden behind 304 grade stainless steel cabinetry for a professional and polished look. An integrated planter put fresh herbs within reach. 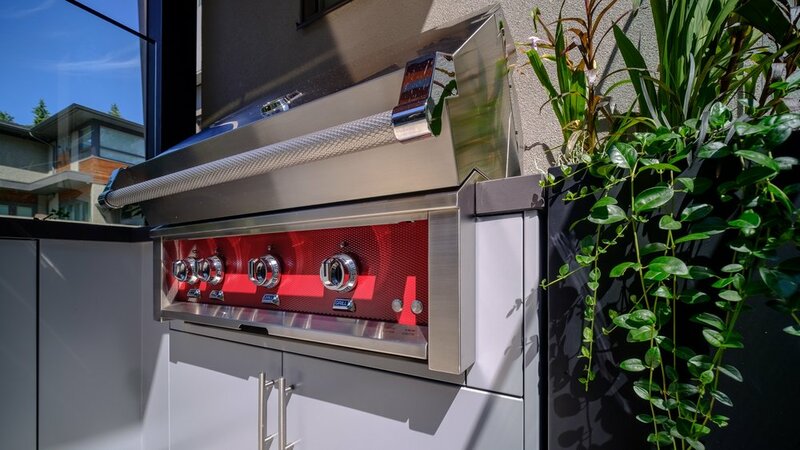 The expansive pro series Hestan grill with a customizable faceplate afforded a pop of eye-catching red. 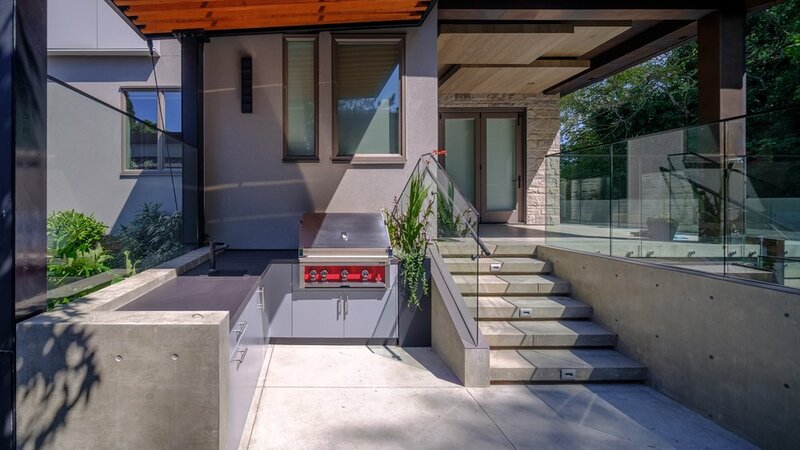 Many impromptu after-dinner poker games are in the future of this outdoor entertaining space.